in classrooms for more than 28 years. Their August/September 2018 issue lists the top 100 Colleges and Universities for Hispanics in the nation. “East Los Angeles College is committed to helping all students thrive,” said Marvin Martinez, ELAC President. “As we continue to see our Hispanic student population grow, we will continue to work hard to provide the right tools to improve the lives of our students and our community.” ELAC is dedicated to supporting students in achieving associate of arts degrees, general education, skill/certificates, and personal development. 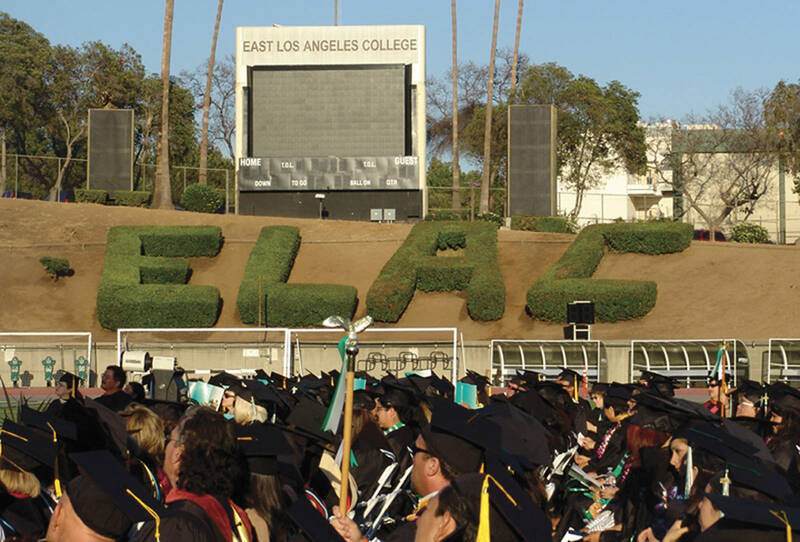 According to this issue, ELAC ranks second in the nation in terms of Hispanic student transfers to four-year institutions and is the top California degree and certificate producer for the ethnic group. Along with student achievement, ELAC is committed to providing state-of-the-art facilities to serve the needs of the students and its community. “We are very honored to be recognized as a top college in California for Hispanics,” said Paul De La Cerda, Dean of Resource, Economic Development & Innovation and Executive Director of ELAC Foundation. “More than 70 percent of our students are Latino, and many of them are first generation college students. Our Resource Office and Foundation Board of Directors are proud to continue to provide our students with auxiliary resources and support to successfully navigate and complete their college degrees and find successful careers.” For more information, please click here.